The “3 Rivers to Cuba” 40 minute documentary short is now available to watch online for free! Youtube and Vimeo. Please watch and share and feel free to ask any questions about the film after you see it. Contact Chris, the director, at: spinninggoat@gmail.com. Enjoy this independent, low-budget documentary, that shows a unique perspective. Stay tuned for more news about this project, and a follow-up project already in the early stages of planning. Special thanks to all of the Cuban activists, musicians, guides, and workers who helped make this project happen, especially Manuel and Juan Antonio. And thanks to Kenya, Teanna, Noël and Boris in the U.S. for your patience and participation in this film. Feel like taking a break, staring at microscopic creatures, and pondering existence? Then, watch “ponder” a work I originally released in 2015, started to revised it, but never finished due to another major project. #indie #documentary #Cuba “3 Rivers to Cuba” documentary short online November 25!! Good news! The wait is almost over. The 40 minute documentary short “3 Rivers to Cuba,” featuring Kenya C. Dworkin, Teanna Medina, Noël Quintana, Boris Balsindes Urquiola, Juan Antonio Madrazo, and Manuel Cuesta Morúa will be available to watch for FREE on both youtube and vimeo starting November 25, 2016. This project highlights the ties between Pittsburgh, PA and Cuba, through interviews with local community superstars who share and celebrate Cuban music, dance, culture and religion, as well as Cuban artists and advocates. A specific focus is on the contributions of Africans to Cuban culture and community, and tracing the African heritage in Latin music and dance. Additionally, work that has been done locally in Pittsburgh to support the Afrodescendiente (people of African descent) movement in Cuba will be explored. In June 2016, the Spinning Goat crew (Chris Mason and Brenda Sólkez) traveled to Cuba, documenting music, dance and culture in Santiago de Cuba and Havana. They interviewed Manuel Cuesta Morúa, a historian, and Juan Antonio Madrazo, an advocate in the Afrodescendiente movement. In Pittsburgh, interviews with Teanna Medina, an Orisha dancer, founder of Yemaya Pittsburgh and a community organizer; Kenya C. Dworkin, a Cuban teacher, translator and activist, and Noel Quintana, a conga drummer and Cuban music aficionado round out the piece and show the rich connections that people in Pittsburgh, PA have with Cuba and its people and culture. In August 2016, Cuban artist and producer Boris Balsindes Urquiola was in Pittsburgh for an artist residency, and will add his perspective of growing up in a poor neighborhood in Havana, and the importance of art, identity and expression. 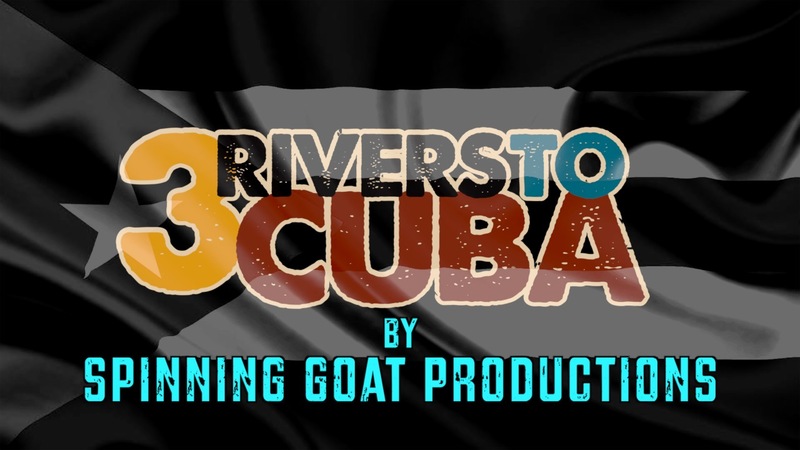 “3 Rivers to Cuba” is an independently produced documentary by Spinning Goat Productions, with support from Advancing the Black Arts Pittsburgh grant through The Heinz Endowments and The Pittsburgh Foundation. #PRHeritage In honor of Puerto Rican Heritage Month, watch this short documentary about Pittsburgh’s own MACHETE – Kisumontao. History is really made up of moments among people and my hope is that by sharing diverse stories and media, we can find ways to come together and understand, rather than remain divided and ignorant. Now that the short version (39 minutes) of the documentary is completed, it is being entered into festivals around the country, starting with the Big Easy International Film Festival, held in New Orleans, LA in January 2017, and The Women’s Film Festival held in Philadelphia, PA in March 2017. More festival entries will be completed in November, and I’m hoping to schedule at least one more Pittsburgh screening in 2016.